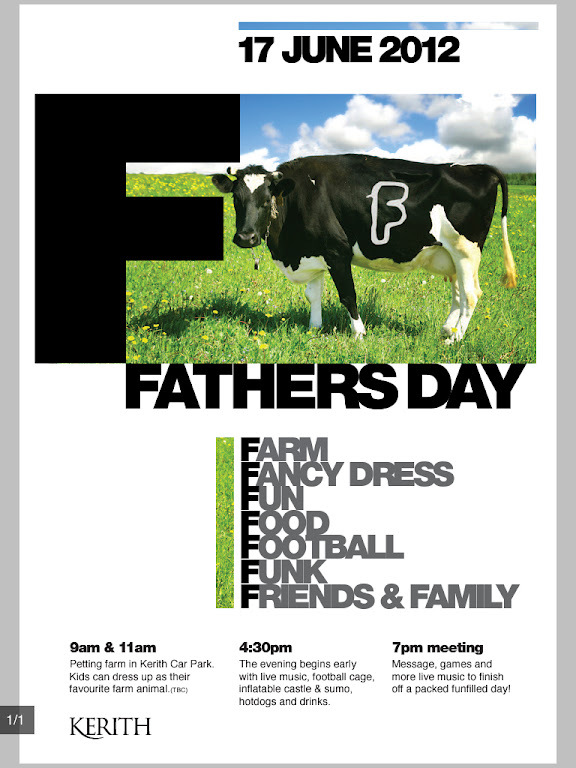 Just a reminder not to miss out on our fun filled Fathers Day. In the morning we've got a petting farm down the side of K2 between the 9 and 11, and after the 11. My daughter for one is incredibly excited by that! We'll also be having food during the meeting - we are after all celebrating the Feast of the Father as the final part of our prodigal God series. Then from 4.30pm there is all sorts of excitment going on in the car park with sumo wrestling, a football cage, human table football, a bouncy castle, food, live music and much more. Then at 7pm we'll be meeting for an hour, again celebrating the Feast of the Father, finishing the evening with more live music, drinks and food (if there's any left!). Please come, and please be thinking about who else you can invite to come and celebrate Fathers Day.